The guest rooms at Moxy Chicago Downtown feature a smart design to maximize your space giving you everything you want and nothing that you don&apos;t. Our smoke-free, pet-friendly rooms offer blazing fast and free WiFi to post photos and videos of your adventures in Chicago as you unwind after a night out in downtown on plush beds with fluffy pillows just begging for a pillow fight. Binge-watch your favorite shows and movies on 49-inch SmartTVs with built in streaming services. 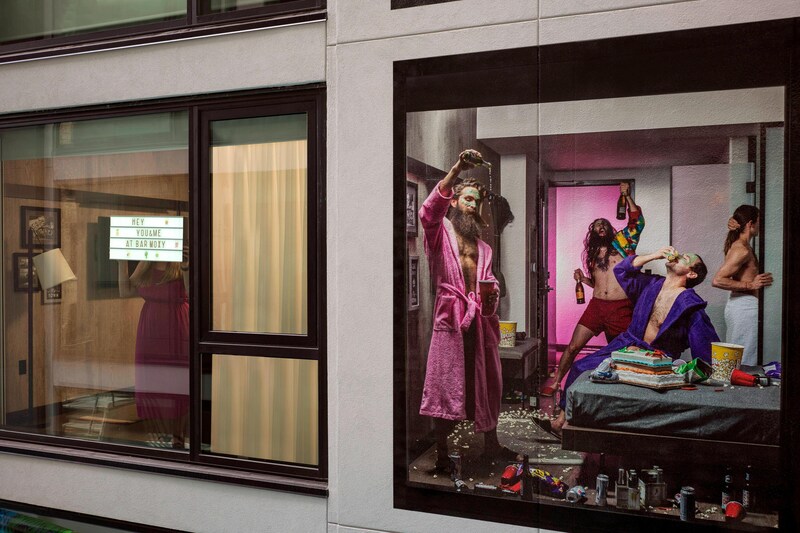 Select room types feature loft-style bunk beds or views of our provocative Inner Circle art installation. 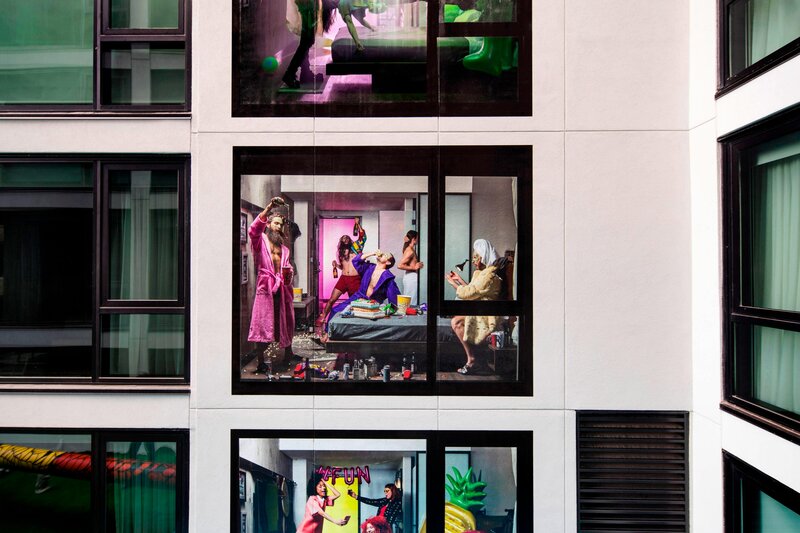 Rooms face a Garden of Eden inspired art-installation, and if you see a cutie across the way, use your lightbox to ask them to meet you for a drink in Bar Moxy.